Hans Stuck passes Klause Ludwig on the Mulsanne straight in the porsche 962c he shared with Derek Bell and Al Holbert to win the 1986 Le Mans 24 hours. 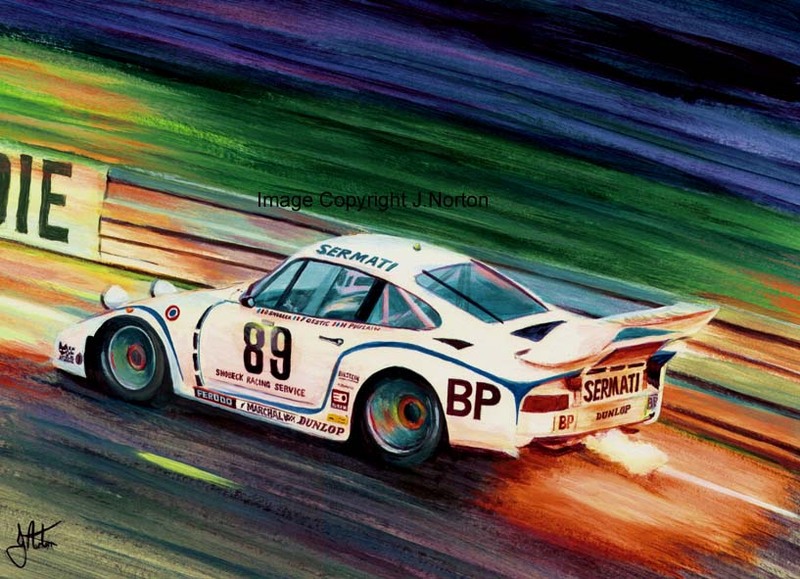 An icon of 80's sportscar racing, the Porsche 935 whith its charecteristic flamout. 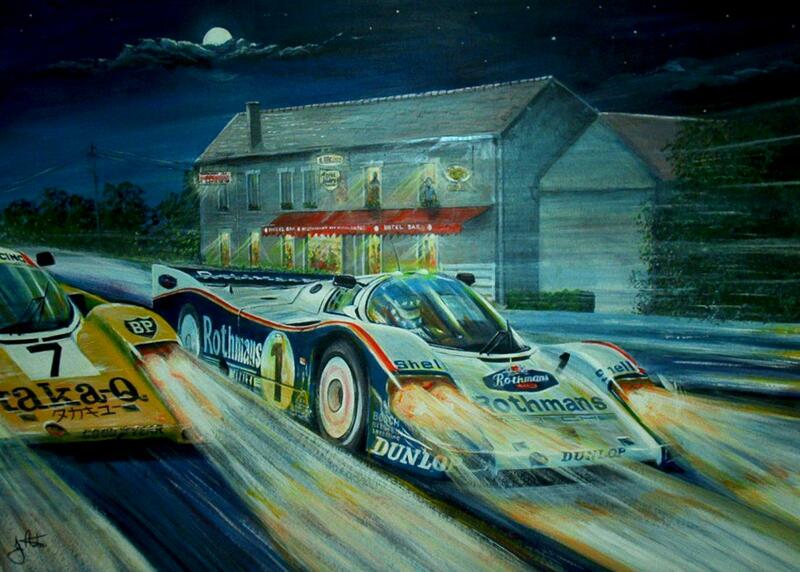 This image of the version driven by Snobeck, Poulin and Destic to 20th place in the 1980 Le Mans 24 hours. 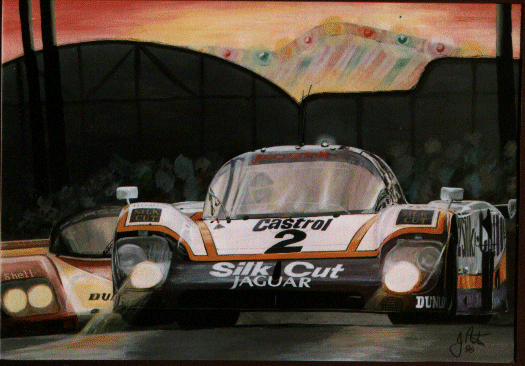 The winning Silk Cut Jaguar XJR9LM of Johnny Dumfries / AQndy Wallace / Jan Lammers leads the second place Porsche 962 in the 1988 Le Mans 24 hours.